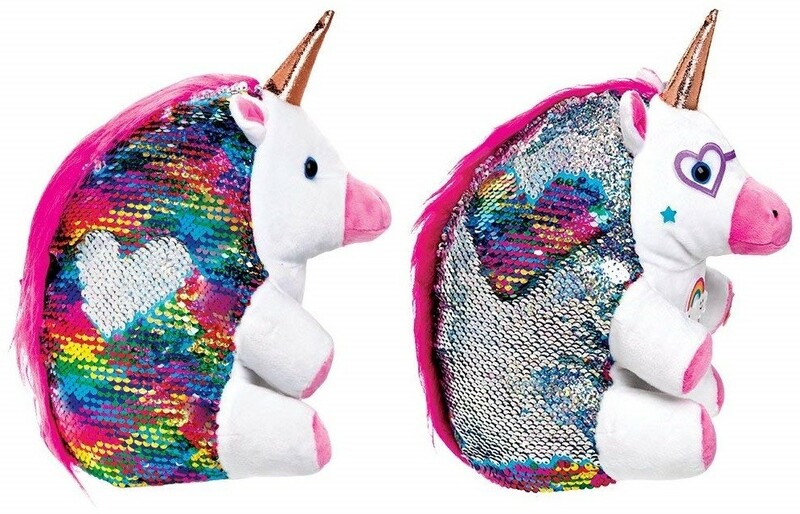 Meet Sparkles the Unicorn! 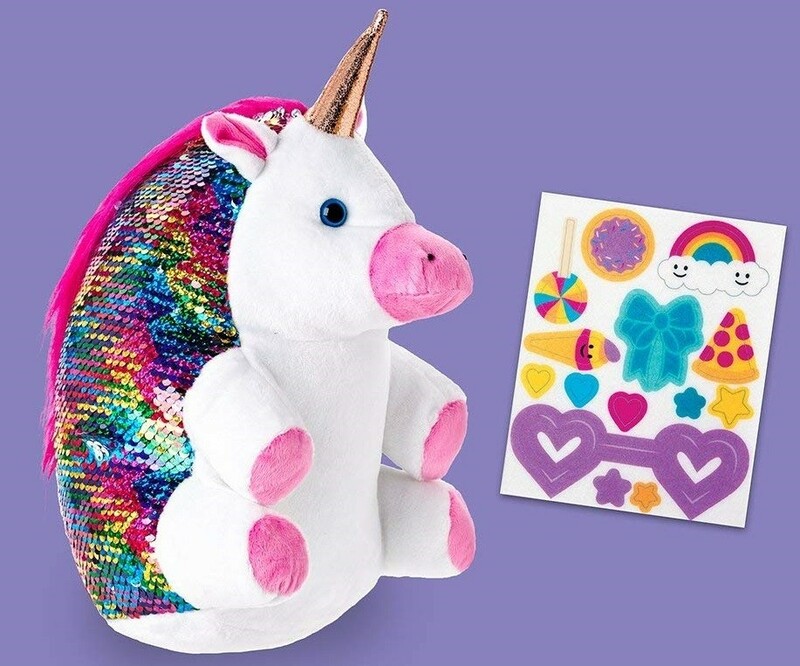 This unicorn friend from Creativity for Kids is a handmade weighted plush with reversible sequins, perfect for helping kids relax, but the fun doesn't stop there — Sparkles also comes with reusable stickers you can use to customize and recustomize her just the way you want. 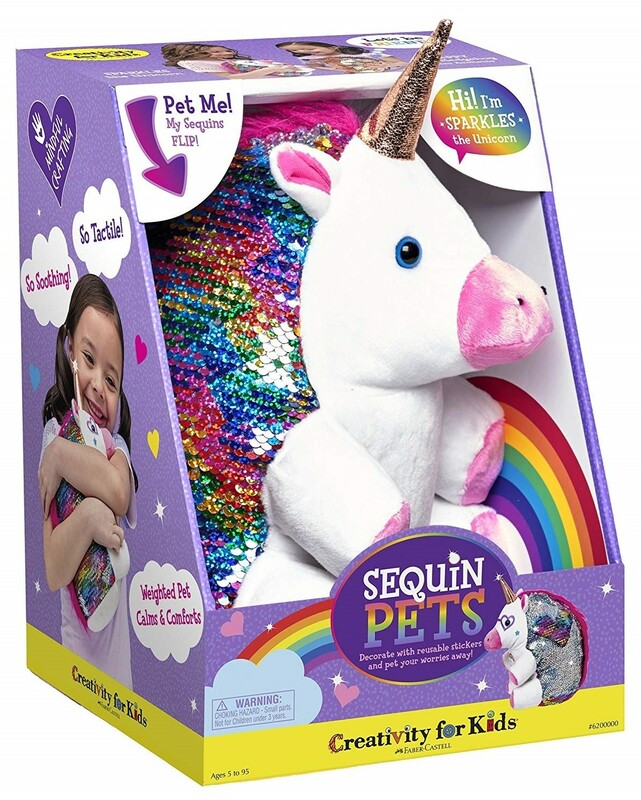 Whether she's busily decorating Sparkles or needs a quiet moment to give her a cuddle, kids will adore this sparkly pal. 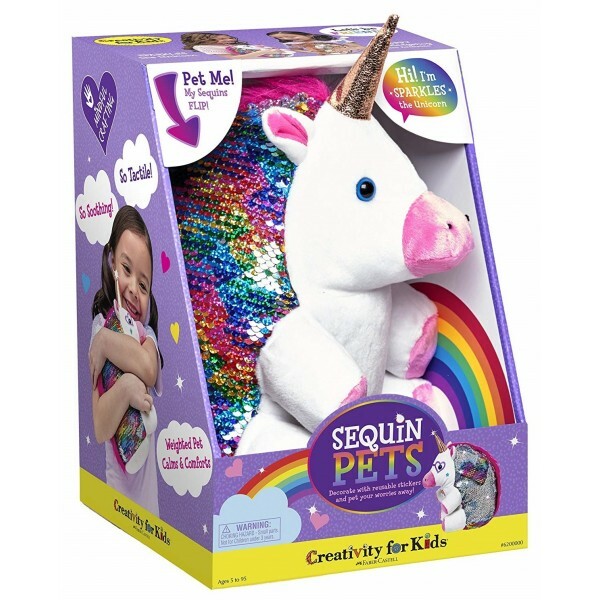 For more cuddly friends, visit our Stuffed Animal Collection.